So there was an undirected rant about the echo-chamberish belief by some FATEheads that FATE is more successful than D&D/d20, and as a lapsed FATEhead myself, I gave an answer to why that might which enough people liked that I decided to pull it out of the comment section of a privately shared G+ post. TL;DR it's all perception bias, well spun hype and a modicum of success. So, I hope I never fell into this trap, but for some people the whole notion of aspect based design is powerful and it actually happens that you (as a budding FATEhead) start to see everything in terms of aspects, positive and negative. 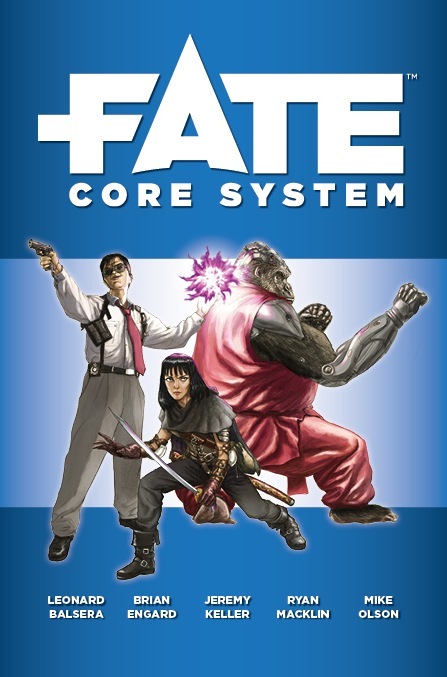 This is especially easy when you aren't aware of this being An Old Idea (case in point: Theatrix, Over The Edge, WuShu, a dozen other things that did "freeform attributes"), and FATE Just Being A Fudge Implementation. These things don't weigh in much about what FATE does these days, but it's still a detail that people might miss, so for them FATE is this relevatory thing where finally your imagination isn't stopped by anything but a lack of fate points and compels by a lame GM. EvilHat also did a decent job at spinning the PR wheel and got a ton of yarn out of it; hence their kickstarter success (and they had prior experience with the Spirit of the Century pre-order thing). There were also some early successful spinoffs (like diaspora, which I still like very much) which showed that the OGL was not just a nod towards FUDGE but a thing to build on by publishers that want to cater to the "story games crowd" (in the loosest sense). Not all of these adoptions are good but they're made and apparently bought. A new incumbent in this area seem to be various *World variants which I know none of, but the chatter and energy about them reminds me of early FATE times. So, in a nutshell, for these FATEheads everything looks like FATE even if they don't play it, and everything they don't play is so far out of what drives their gamer mind that they have difficulty perceiving it.